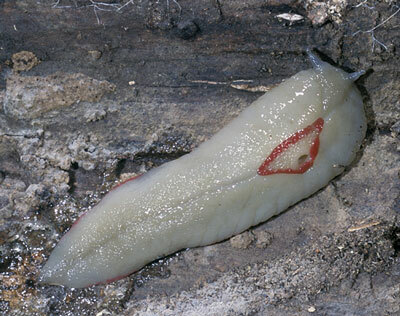 Scientists have found that slug slime has the ability to stick to wet surfaces unlike most glues that require dry surfaces. Scientists have simulated the molecular structure of slug slime to create a glue that has in laboratory testing, successfully repaired a hole in a pig’s heart that was wet with blood. T he glue was flexible enough to cope with stretching and is biodegradable. This could be useful to replace staples or stitches which can cause scarring. Sad news but not all bad. Book 2 was printed with errors and mixed pages so it’s back to the printers. Looking good to arrive in October/November- just in time for Christmas presents. ‘Native snails [in NZ and Australia] don’t consume green vegetable matter, they live on decaying leaves, fungus, biofilm (microalgae growing on rocks and tree trunks). They use their little ribbon of teeth, their radula, to scrape food. It’s actually slugs who are responsible for most of the damage to home gardens, but they don’t leave incriminating shells,’ Stanisic says. As the Northwest Times (Quest Newspapers) writes, ‘Life at a Snail’s pace might sound dull but the slow moving molluscs have lead one Albany Creek researcher on adventures more suited to an Indiana Jones movie than a lab‘. At the Bush Blitz trip to Quinkan in far north Queensland, two new snail species were discovered but not before the Snail Whisperer suffered a tarantula bite. One species, a carnivorous snail, is separated from its closest relative at the Undara lava fields by 250km. The dry sandstone escarpments of this area are an unlikely environment for snails but the pockets of rainforest in this area showed that these animals representing 6% of terrestrial biodiversity, endure in even the smallest patches. Conserving even small patches of vine thickets and rainforest is crucial to the survival of invertebrates. Thanks to two avid Griffith Uni students, we have more photos of snails dining out in style. Here Fraser’s Banded Snail (Sphaerospira fraseri) eats its way through a fungi at Mt Glorious. Photos: Ben Revell and Kris Oettinger. Exciting news. Book 2 is printed and due to arrive in Australia next week. The book will be available through the Queensland and Australian (Sydney) Museum bookshops shortly. More to come. Griffith University science students, Kris and Tim managed some amazing night shots of our native snails out and about in Mt Glorious, south-east Queensland during their studies of snail populations of this rainforest area. Photos were taken by Ben Revell and show Thersites richmondiana and Sphaerospira fraseri on their nocturnal journeys. Richmondiana is enjoying a feast on a fungus, one of our native snails’ favourite foods. 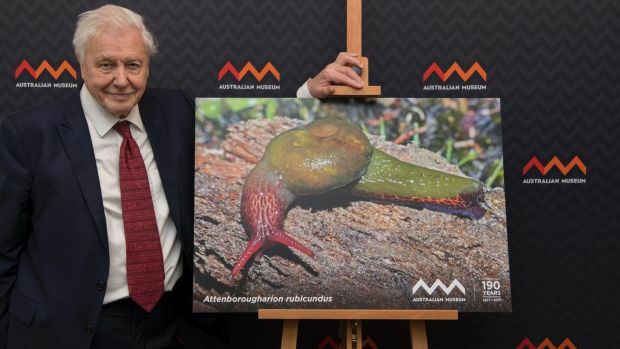 This beautiful Tasmanian snail Attenborougharion rubicundus was named in honour of Sir David Attenborough. 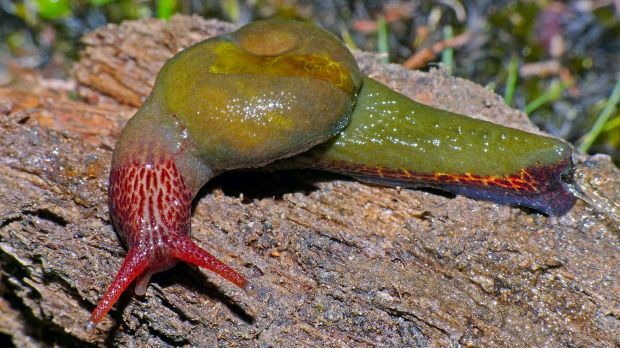 This colourful semi-slug’s usual habitat is restricted to a small area of south-east Tasmania in wet forests on the Tasman and Forestier peninsulas. The species was first described in 1978 and classified in the genus, Helicarion. However, recent work by the Australian Museum scientists have shown it is a separate genus. This is the first genus to be named after Sir David who already has been named in 12 species. During this visit to Sydney in early February, 2017, he was honoured by being named patron of Australia’s first museum, The Australian Museum. Here are some of our beautiful helicarionids [semi-slugs and glass snails] from eastern Australia. L to R: Thularion semoni, Mt Sorrow, Queensland. J. Stanisic; Mysticarion porrectus, Point Lookout, NE New South Wales. Photo: Fran Guard; Macularion albimaculosa, Lamington, South Queensland. Photo: IBISCA; Parmavitrina megastoma, east of Tenterfield, eastern, New South Wales. Photo: Jan White.